Good day folks! Today the Mama Elephant gang is hopping with the fun new stamp and die set called Filled with Love! This set is the first collaboration between Simon Says Stamp and Mama Elephant:) This set is technically a Valentine's set, but I thought I'd show it for everyday. LOVE it! Being in Minnesota I could use a jar of sunshine right now. What a FANTASTIC idea! That is just such a HAPPY card! Where did you get that sunshine from? Its just so perfect! Love it! What a adorable jar of sunshine. Gosh I just love this card! Very creative and beautiful! JJ, I love your jar of sunshine. Great sky/cloud background, too.So clever!!! Great idea to fill the jar with Sunshine. Love your card. Love this ray of sunshine! 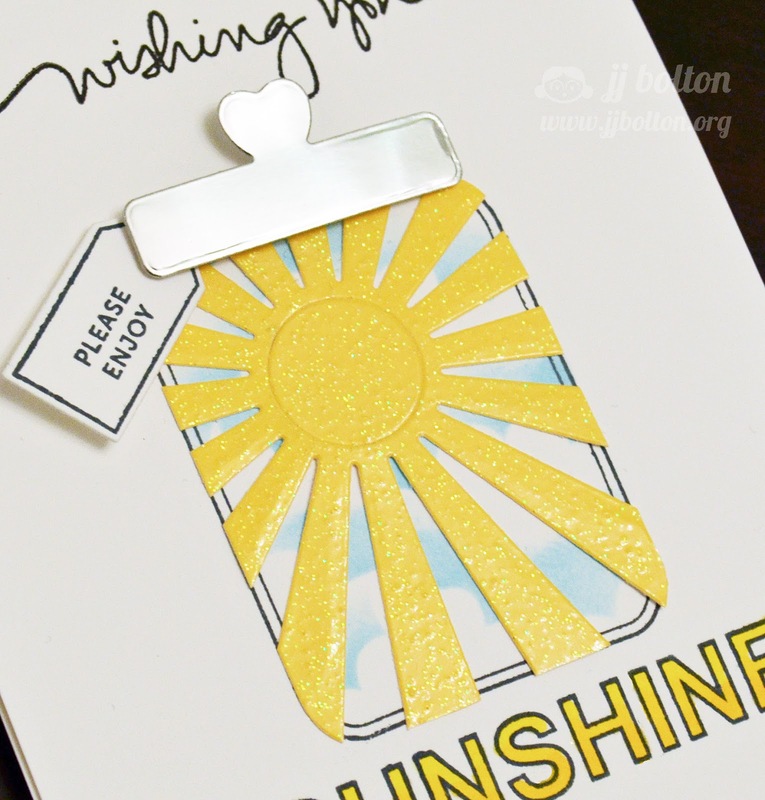 Awesome card, Everyone loves a little sunshine in their day. Love the sunshine...the concept is so beautiful!!! super great idea!!!! Awww...that just makes me smile! I love the idea--brilliant, my friend!! Love the way you used the stamp and die for an everyday type card! Great idea to fill with sunshine! What a great idea. A jar of sunshine! What a beautiful card. Love the silver top and the sparkles in the sunshine. Very clever! It's always nice to see that a set can be very versatile in the right hands. Love your jar full of sunshine! Incredible -- a sunshine filled jar on a COLD snowy winter day -- just what the doctor ordered! absolutely adorable! I love that... just what I needed too on this snowy day. I love the idea of a jar filled with sunshine! That is cute and clever! I needed that sunshine right now. Darling card. OMG! Love this! Now I need to get a jar! Thanks for the inspiration! Such a happy ans sunshiny card!! SUPER adorable card! I love this! What a clever idea! 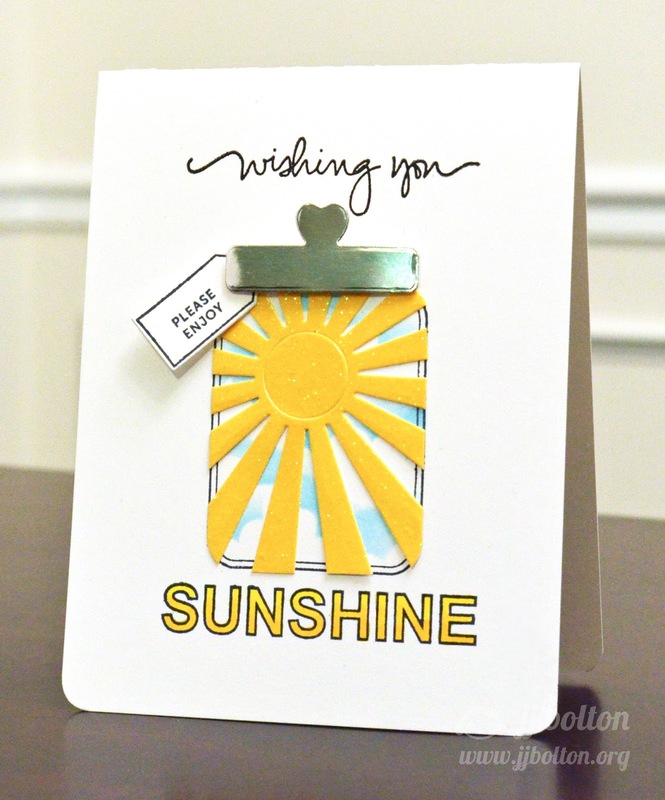 I love all the sparkle on your 'sunshine', and how you used silver foil cardstock for your jar top...such a beautiful card, JJ! This is amazing how clever of you who doesn't need a jar of sunshine have a great day! Omgre what a different take on this!! Everybody could use a jar of sunshine!! What a great idea to brighten someone's day, loved it!!! Thanks for sharing. The best of cards! Here in MI we could use a little sunshine! it's a great idea, love this card! How clever is this! I love everything about it. LOVE this! The foil lid is brilliant and I love the sun stuffed in the jar. This may be the happiest card ever. Love the metal lid and the jar of sunshine! LOVE THIS! this is so awesome. Love, love, love that sun! i LOVE the sunshine in the bottle...I think this is my fav!!! Oh wow I love your jar of sunshine what a bright idea!!!! I can't wait to make this. I so think this stamp and die sets rock!!! Love your jar filled with sunshine! Fantastic die work! Love this sunshiney card! There is always someone who needs a little sunshine and this would be the perfect card to send them! Thank you for sharing with us! The sunshine is an awesome idea!! Love it!! Loved the jar filled with sunshine ! Love the jam jar... stunning creation. Brilliant card---sure to brighten someone's day! Love the idea of the Sunshine rays. Great inspiration. I love that sunny piece on top. It almost looks like felt. Great choice. Amazing. A jar full of sunshine - something I need today as it's dark and dreary and getting ready to snow (again). Great card. thanks for sharing the idea. What a fun, happy card. I love it. What a wonderful happy card! Thanks for some sunshine on a snowy day! Such a happy card. I love the sunshine!!! Yay! I love the sunshine in a jar! So happy and sparkly! If only I had some sunshine in a jar for these dreary winter days. Cute and fun! Brilliant! What a unique interpretation. I love the tiny tag and the cloudy sky in the background. Love the jar of sunshine! What an amazing and clever design. I absolutely love it. I have never seen anything like this and it just makes me happy! Great idea! 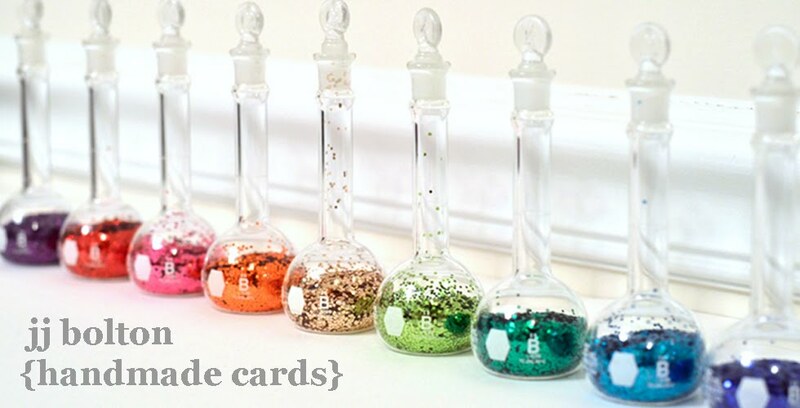 Genius take on your card. Love the sunshine rays with that jar! What fun!! Love all the sparkle! What a beautiful happy card! It's just adorable. I just love you're ideas. What a clever card! You did a wonderful project! Your card makes these snowy days bright! Spring is right around the corner! Love the jar of sunshine.